The Holidays are just around the corner! To all our friends in the industry, thank you for your support. Everyone has worked so hard this year and we hope that you will enjoy a well-deserved break and get to do the things you enjoy – friends, family, reading a book – whatever makes you happy. May the new year be good for you, filled with health, joy and blessings. 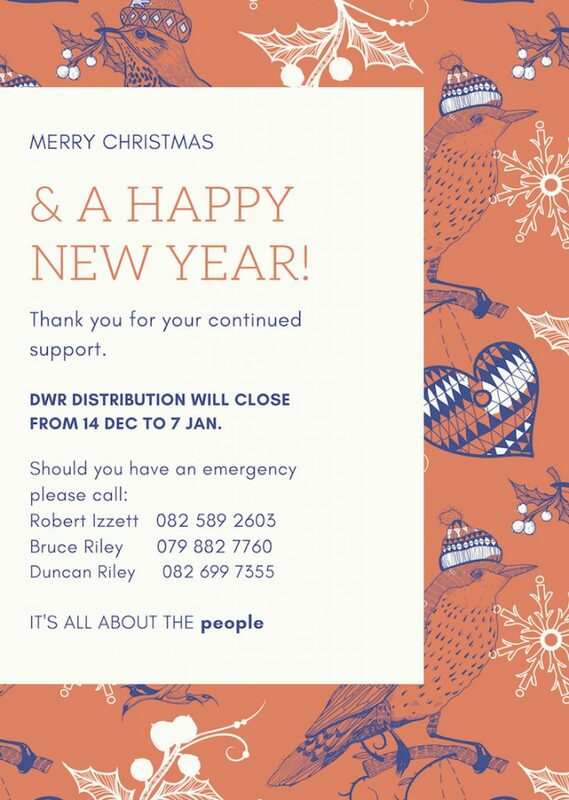 Please take note that DWR will close for the festive season from 14 December to 7 January.